Over at the British Museum blog, there's a behind-the-scenes blog post about the upcoming exhibit in their money gallery. Among a wide variety of money-related objects (money in museums isn't just old coins any more! 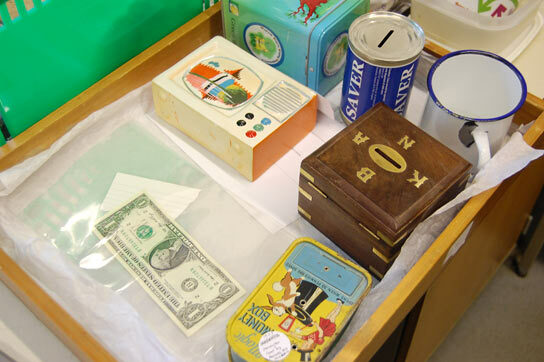 ), the exhibit will also feature objects contributed by IMTFI researchers, like some of the money boxes in the photo above.